LABOR has upped the tax cut contest by pledging to "almost double" the Government's reductions if it wins office. And the Opposition Leader argued Labor's scheme would be fairer - a more "progressive" tax system - in which a cleaner would not pay the same rate as a CEO. Mr Shorten said the refund would provide a greater tax benefit to 10 million Australians, with over four million getting the full $928 benefit per year - an additional $398 per year. This would be in addition to the Coalition's increased tax benefit through a more generous Low- and Middle-Income Tax Offset in Tuesday's Budget. 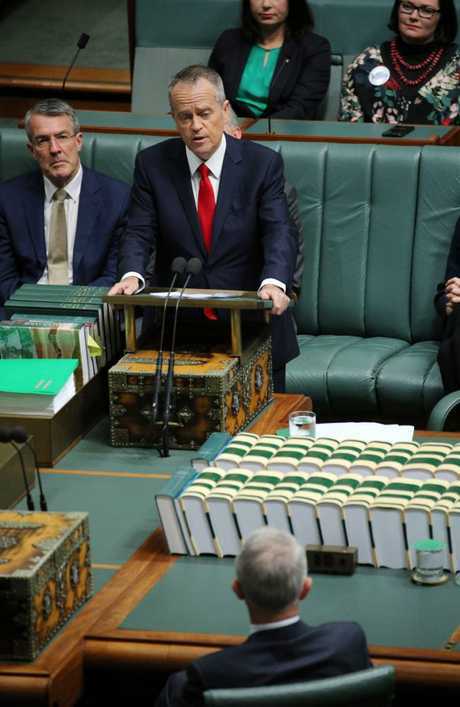 "We can afford to cut your taxes, without cutting services, because unlike the Liberals, we're not wasting $80 billion on a discredited giveaway to the top end of town," Opposition Leader Bill Shorten said in his formal reply to Tuesday's Budget in Parliament. He said: "We will support the government's tax cut this year. "And in our first budget, we will deliver a bigger and in our first Budget, we will deliver a bigger and better tax cut." 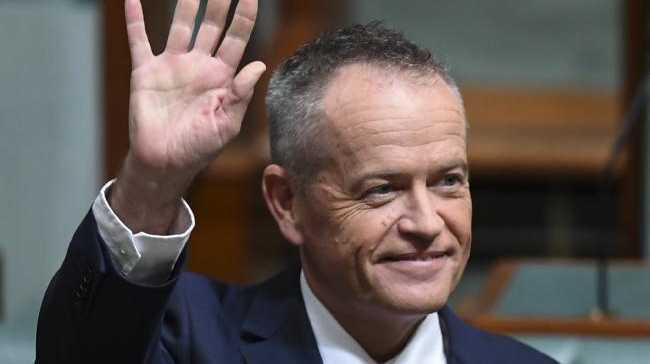 He signalled a key element of the election campaign Labor will early next year by saying: "Under Labor, you will pay less income tax - because I think you are more important than multinationals, banks and big business." The Opposition Leader said in the first term of a Labor government a teacher earning $65,000 a year would be $2780 better off gaining an $928 more in tax relief than under the Coalition's plan. "Labor can afford to do more to help you and your family because we're not giving $80 billion to big business and the big four banks," Mr Shorten told Parliament. "And because we've already made the hard choices for Budget repair." This was a reference to existing Labor policy limiting negative gearing, tightening rules on income splitting in some trusts, and ending "unsustainable tax credits for people who pay no income tax" through dividend imputation.